Hubert De Givenchy designed the infamous black dress Audrey Hepburn wore in Breakfast at Tiffany's. His designs defined modern glamour of the 60's. 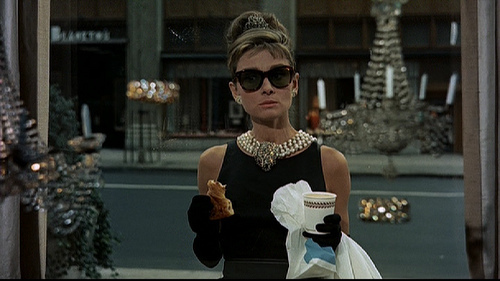 When I first moved to NYC I really thought they served breakfast at Tiffany's. They didn't, but they do now!